Skin Ink & Laser was created using a MedSpa model, incorporating the relaxation elements of a traditional spa with the highest quality medical grade procedures. 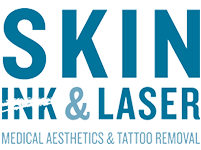 Serving men and women from in and around Fayetteville, Arkansas, Skin Ink & Laser has become a popular destination for treatments ranging from facials to laser tattoo removal, skin rejuvenation, dermal fillers, and much more. To explore the menu of services, schedule an appointment by calling the office or using the online scheduling tool. A MedSpa, or medical spa, is a new type of medical practice. They combine the luxury and relaxation available in a traditional spa setting with the skills and medical training available only from medical professionals. MedSpas use medical grade products, including Botox, dermal fillers, chemical peels, and other formulations. Additionally, state-of-the-art technology like the PicoSure® laser system delivers impressive results in a carefully controlled setting. You lead a busy life, filled with work, family, and community obligations. You deserve high-quality treatments to enhance the way you look and feel. At Skin Ink & Laser, every effort is made to create a welcoming and relaxing treatment environment that allows you to enjoy every visit. Why choose a MedSpa over a traditional spa? A MedSpa can offer far more effective aesthetic treatments than a traditional spa. More importantly, however, the staff at Skin Ink & Laser have a combined 70+ years of experience in the medical field. Under the supervision of a physician, medical professionals complete all treatments. That allows you to rest assured your procedure is safe and effective. How should I prepare for my MedSpa appointment? Because the treatments offered at Skin Ink & Laser extend far beyond simple facials and relaxation techniques, it's essential to prepare for your visit. Arrive for your appointment with a list of any medical conditions you have, as well as any and all medications currently used. Your practitioner will ask about your medical history and any allergies and will customize your treatment accordingly. One of the biggest benefits of the med spa practice model is the expertise provided by medical staff. Practitioners are skilled at evaluating how your body responds to various treatments and can spot the signs of an allergic reaction or adverse effect very early in the treatment process. Many men and women are unfamiliar with the aesthetic treatments offered at Skin Ink & Laser. Knowing that skilled medical pros are administering all treatments allows you to relax and enjoy this time you've carved out to treat yourself. To learn more about the services offered at Skin Ink & Laser, schedule an initial consultation at your earliest convenience. Online scheduling is available, helping you find a convenient appointment time that fits your busy schedule.